Born in Poland on 14 April 1880, he came to Winnipeg in 1885 and was educated at the Winnipeg Collegiate Institute and Manitoba College. 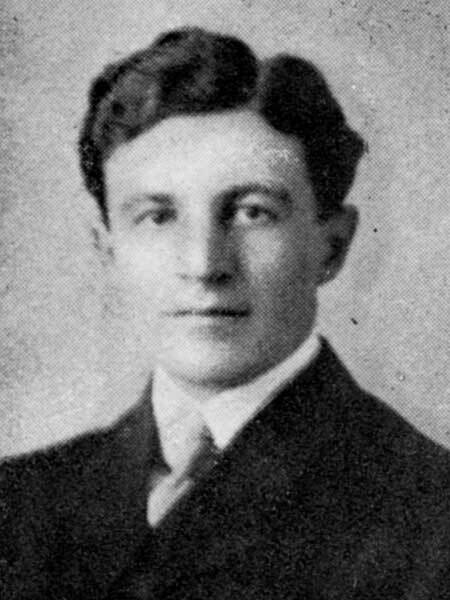 He was Captain of the Shamrock Football Team (1902-1903), St. John’s Rugby Team, and President of the Civic Curling Club (1909-1910). He commenced his real estate career in 1901 and worked as a clerk in the firm of F. W. Heubach and W. J. Christie. He helped in the development of the Tuxedo area of Winnipeg. He later served as Mayor of Tuxedo for 36 years, ending a year before his death. He was an active volunteer on behalf of the Canadian Red Cross, having been an original member of a committee formed during the First World War to raise funds for it. He lobbied actively to move the campus of the University of Manitoba to a site in Tuxedo but his plans were thwarted when the University was consolidated with the Manitoba Agricultural College at the latter’s site in south Winnipeg. He died at his Tuxedo home, 331 Kelvin Boulevard, on 14 February 1952. He is commemorated by Finkelstein Road. “Long-time Tuxedo Mayor, D. R. Finkelstein dies,” Winnipeg Free Press, 15 February 1952, page 36. Obituary, Biographical Scrapbook B10, page 204, Manitoba Legislative Library.